On February 9, 2019, Collin Trey Stover was found safe in North Carolina. 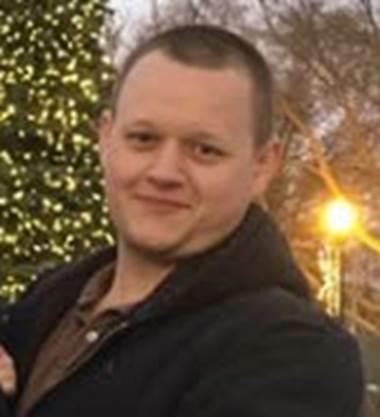 On the afternoon of February 7, 2019, a Kingsport man, Collin Trey Stover, was reported missing to the Kingsport Police Department by his mother. She advised that Collin has a history of mental health problems and has been behaving erratically lately. Due to these factors and a possible change in mental status, he should be considered missing and endangered. Collin was last seen in person on February 5, 2019 when he visited the home of a relative in Elizabethton; however, he called his mother on February 7th from an unrecognized North Carolina phone number. When he was last seen, he was driving a 2010 mint-green Ford Focus, compact 4-door sedan, with tinted windows. The vehicle should display Tennessee license plate 4F70B8. Collin is a 28 year old white male adult. He stands 6 feet in height and weighs 180 pounds. He has buzz-cut brown hair and blue eyes. A recent photograph is included in this release. Anyone who sees him or knows his current whereabouts is asked to make every possible effort to keep him in sight and promptly call Kingsport Central Dispatch at 423-246-9111.